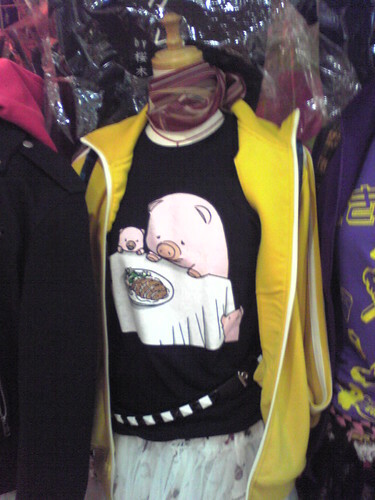 I was hanging out at the Nakano Broadway shopping center when I saw this T-shirt. Its label read: "Otou-san", which means "father". 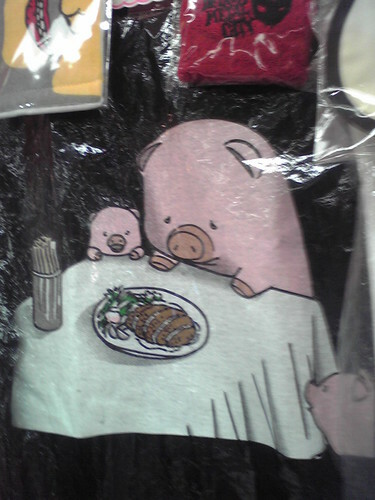 Obviously to tell us where the Tonkatsu (deep-fried pork cutlet) dish in front of the family of pigs came from. Even though I giggled when I saw it, it's really the saddest T-shirt in the world.